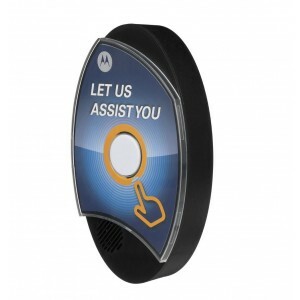 Message Alert Devices provide a one-way communication system from the device to your two-way radio network. A customer presses the Assistance Button which triggers the device to call your two-way radio system. User programmable voice messages, "Please Assist at Receiving", or "Customer requires assistance in Hardware Section".